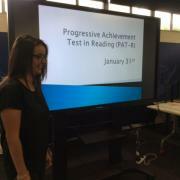 Emily Raynor, Literacy Leader presenting Reading Assessment. 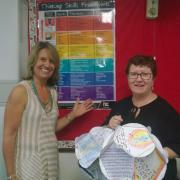 Deb Taylor presented Thinking Skills Framework accompanied by Trish Paxton. 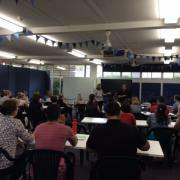 Science professional learning organised by Sherryl Crouch on Digital Technologies, co-presented with ICRA. 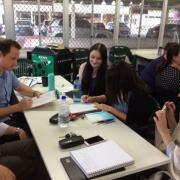 Staff working on coding using people as computer components.